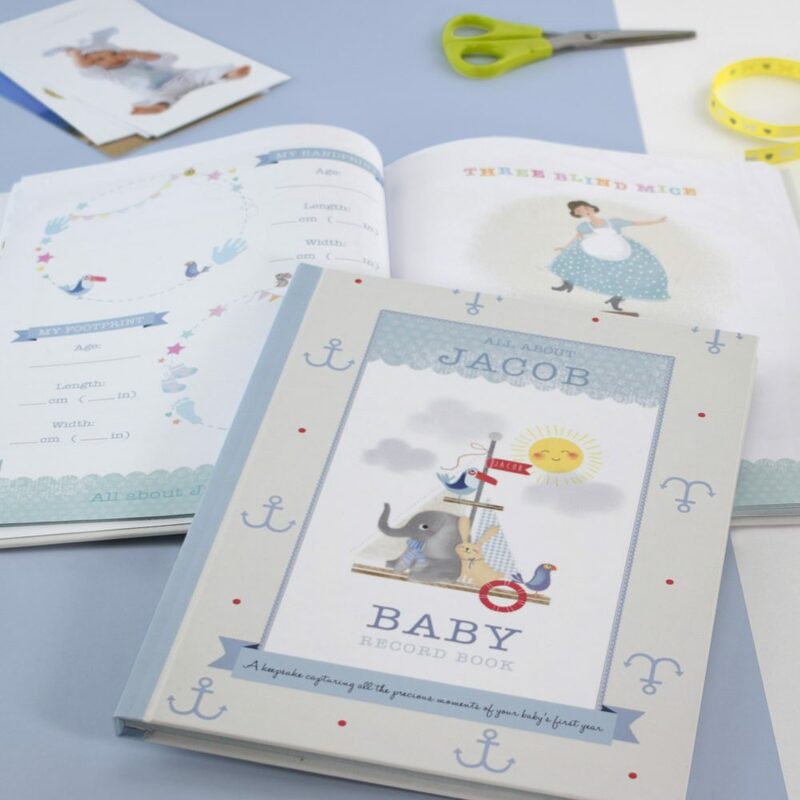 This Personalised Boy’s Baby Record Book is a charming gift for new parents, and includes a beautiful gift box at no extra cost to you. 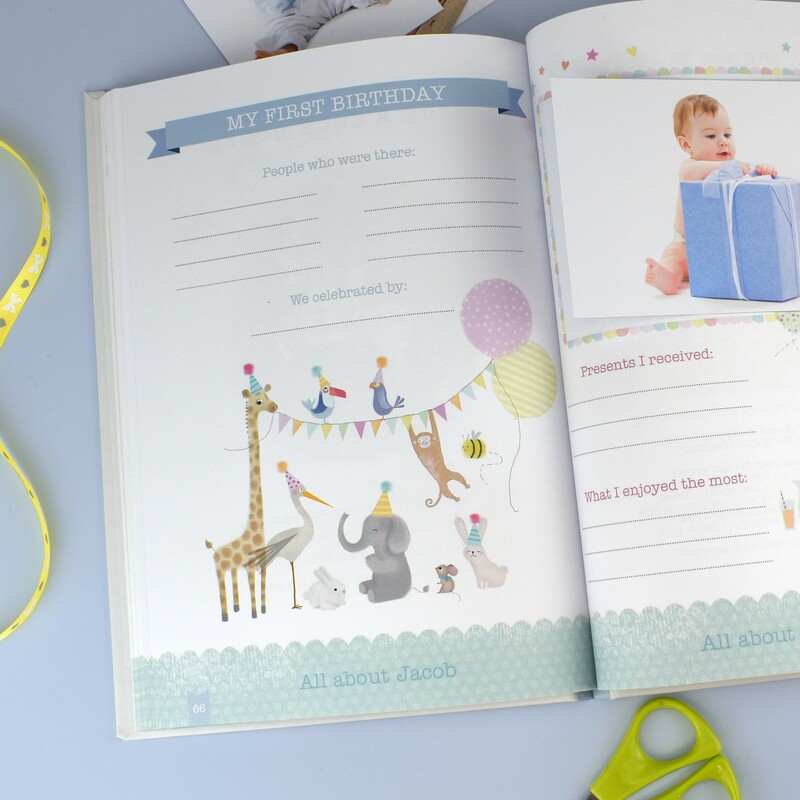 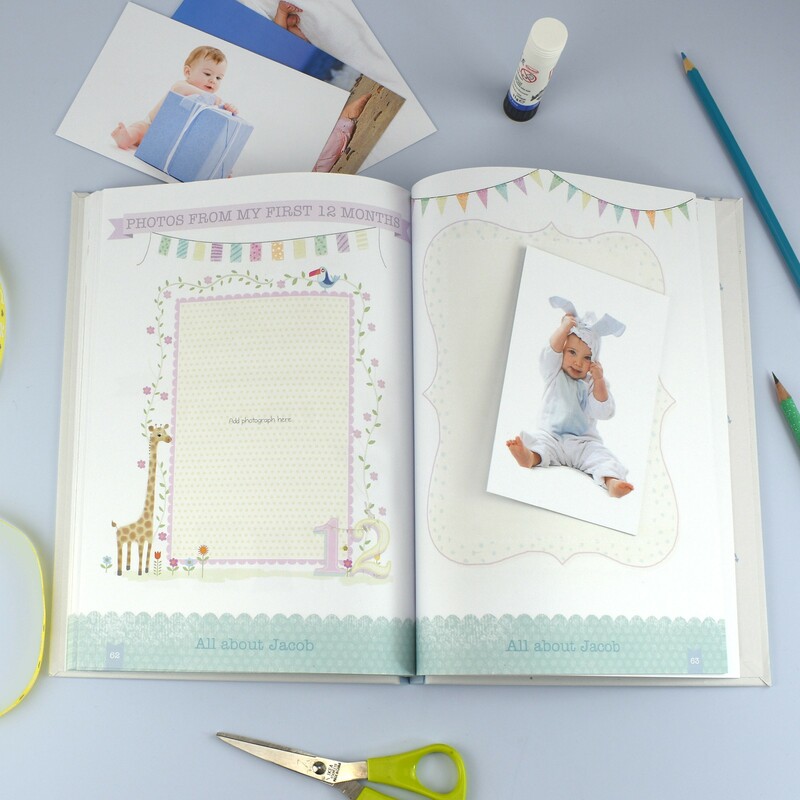 Licensed from Hacche these beautiful baby record books are ideal to document important moments, and can be treasured for a lifetime. 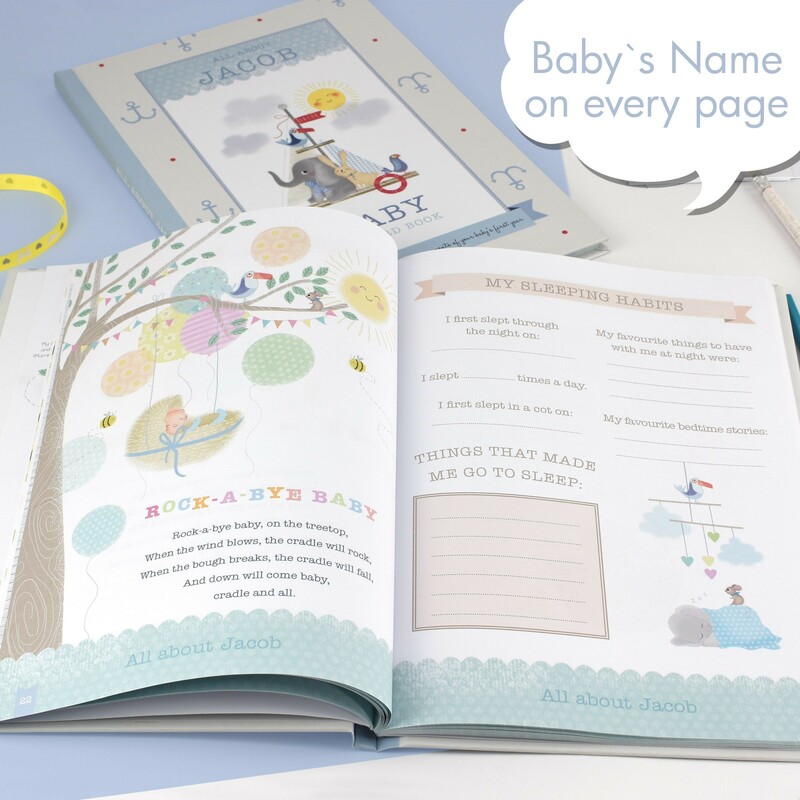 You can log every detail from the moment you found out you were expecting, to why you chose their name and every other page also includes a child’s nursery rhyme which you can both sing together when they’re older. 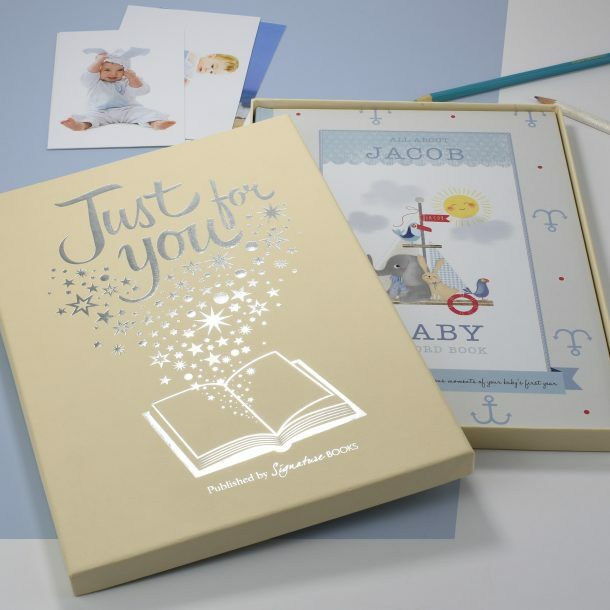 This A4 hard back book is beautifully illustrated on the front cover, and contains pages inside were you can place photographs and mementos. 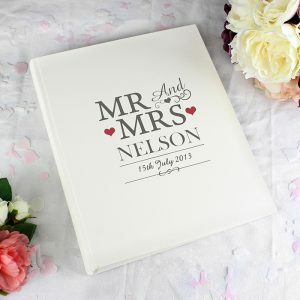 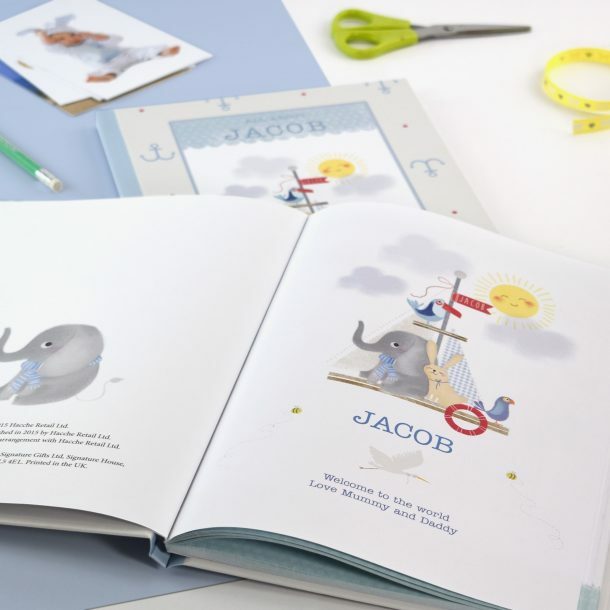 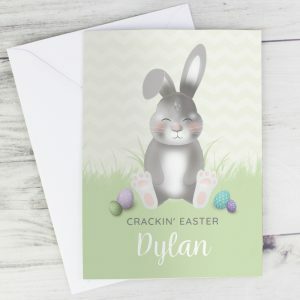 Each page has baby’s name printed at the bottom, and it also appears on the front cover which is designed especially for a baby boy. 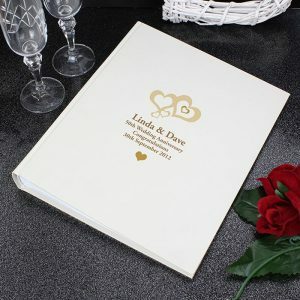 Your personal message is also added on the opening page, so they never forget how thoughtful you are. 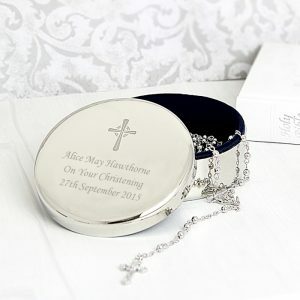 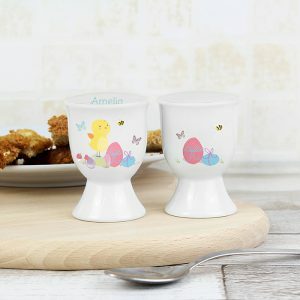 A beautiful way to remember every second of a baby boy’s life, a thoughtful gift for a Christening or Birthday.